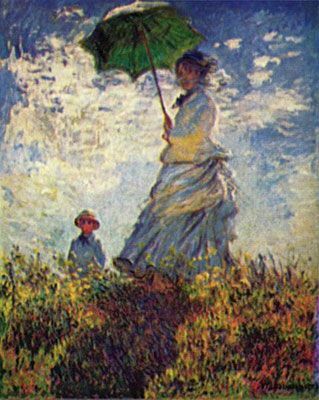 The below artworks are the most important in American Impressionism - that both overview the major ideas of the movement, and highlight the greatest achievements by each artist in American Impressionism. Don't forget to visit the artist overview pages of the artists that interest you. 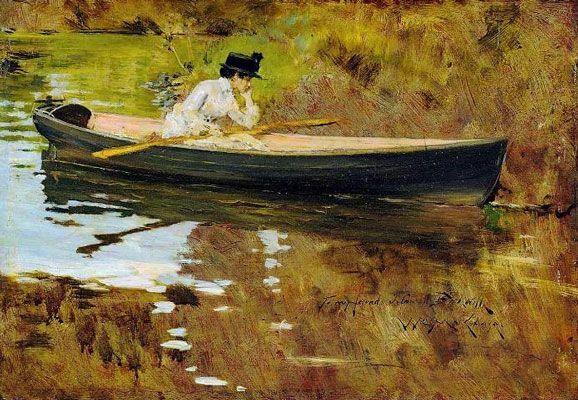 Artwork description & Analysis: William Merritt Chase was one of the earliest American artists to incorporate Impressionism into his work. 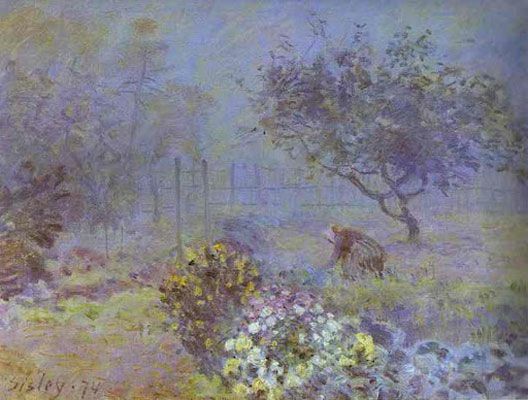 His series on the Prospect Park in Brooklyn, which he painted and exhibited in 1886, exemplifies his Impressionist style. Here, Chase depicts his future wife sitting in a row boat in a small lake. There is a sense of ease as she strikes a contemplative pose. 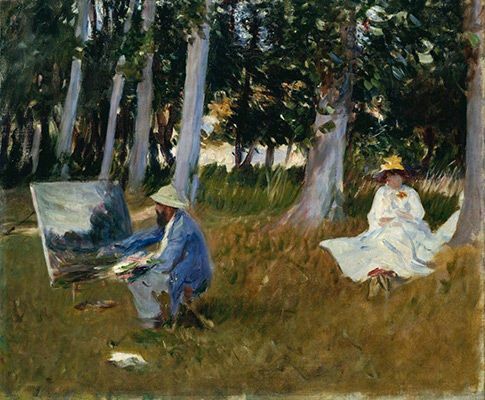 The park offered a convenient spot to paint en plein air, following the example of the French. Furthermore, as a natural space engineered by people in the midst of an urban environment, the park provided the perfect backdrop for Chase's vision of upper class leisure and genteel interaction with light and nature. Prospect Park was also an answer to the sophisticated spaces of European capitals, arguing that American cities had evolved to include such cultural considerations. Artwork description & Analysis: John Singer Sargent was not a fully-fledged American Impressionist, but he had an important impact on the development of the movement as a conduit of new ideas from Paris to friends and colleagues in the states. His own style mixed elements of Impressionism with more traditional, academic portraiture. 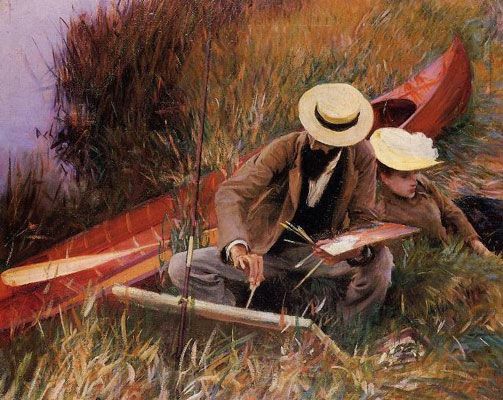 In this painting, Sargent depicts his friend, the French artist Paul Helleu, painting outdoors with his wife. 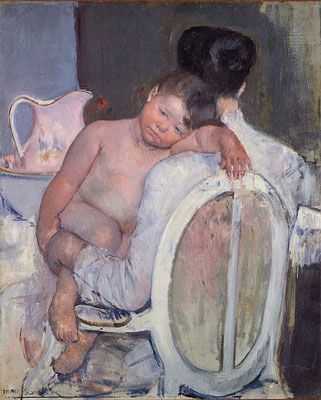 Artwork description & Analysis: Although she developed her painterly style in tandem with artists such as Degas and Camille Pissarro, Cassatt's position as both a woman and an American positioned her as an outsider. While she was not quite as restricted by her gender as was her French-born colleague, Berthe Morisot, Cassatt tended to represent feminine subjects and domestic interiors. Unable to visit the racecourses, dance academies and cafes favored by her male counterparts, Cassatt painted the spaces and scenes she had easy access to among her acquaintances. 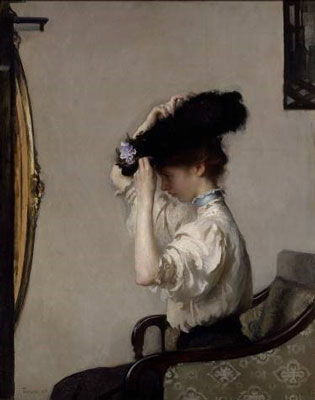 Artwork description & Analysis: A quiet image of simple domesticity, Tarbell captures a fashionable young woman preparing for an afternoon at the theatre. Although it appears to be a casual scene, Tarbell carefully arranged his paintings, often selecting precise accessories and furnishings that marked the space as specifically American. This young woman is unmistakably contemporary, as we can see from her clothing and hairstyle, yet Tarbell gives it a sense of timeless beauty through the glowing light and delicate palette of pastels. 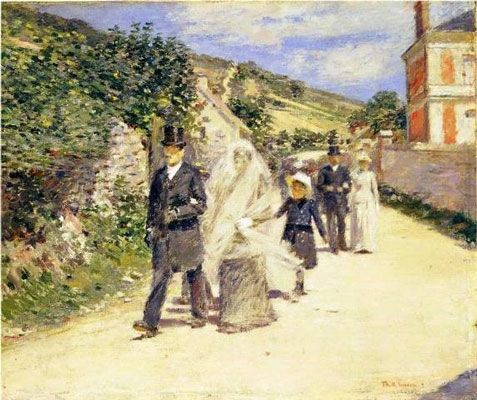 Artwork description & Analysis: When J. Alden Weir visited an 1877 exhibition of Impressionist painting, he was originally repulsed, commenting that it was "worse than the Chamber of Horrors." In time, however, he came to embrace the style. This painting captures many themes of French Impressionism, including the juxtaposition of new industrial structures with bucolic nature. The new bridge, painted a brilliant red, is mirrored in the running water below to create a doubling effect. Weir was rare among the American Impressionists in showing an interest in industrialization. 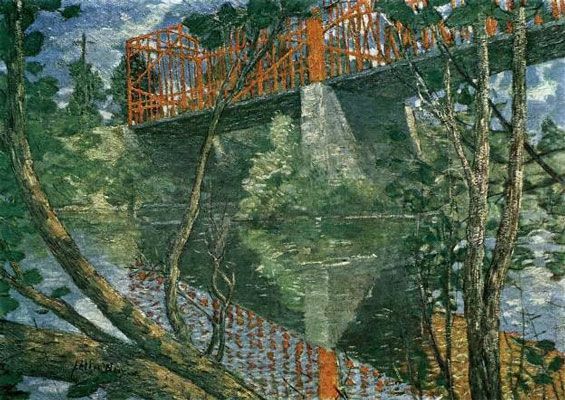 While many of his colleagues chose to feature carefully crafted spaces of leisure and beauty, such as parks and gardens, to give their works a sense of nostalgic distance, Weir's treatment of these modernizing elements aestheticizes them as part of an exciting, evolving national landscape. 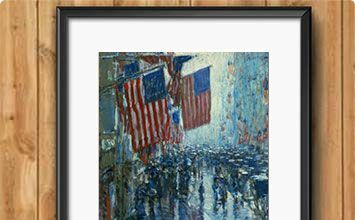 Artwork description & Analysis: Painted in the year of the Armory Show, which introduced 20th-century modernism to American audiences, this painting is evidence of the continued life of American Impressionism into the 20th century. 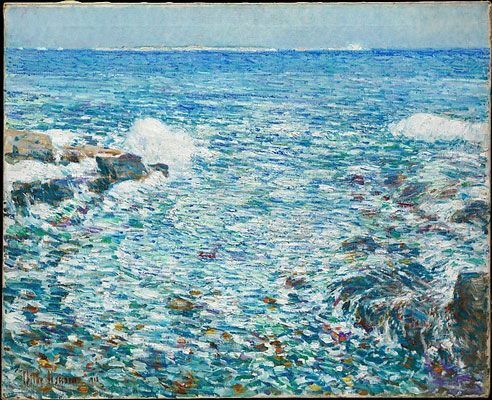 Far from its radical roots, it became a style associated with genteel calm and upper-class patrons, particularly as executed by Childe Hassam.